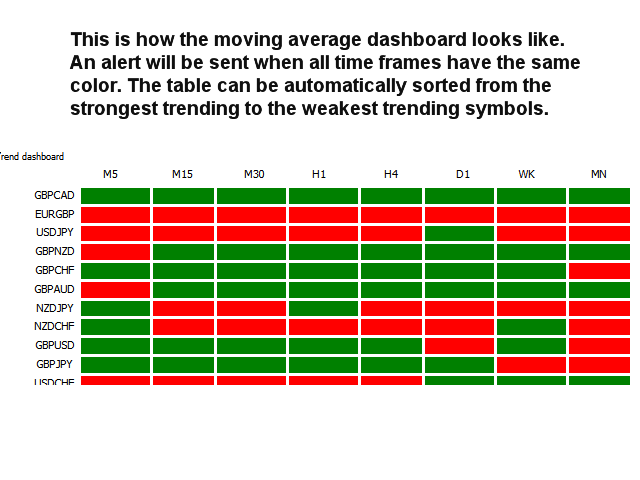 This multi time frame and multi symbol trend indicator sends an alert when a strong trend or trend reversal has been identified. It can do so by selecting to build up the dashboard using Moving average (single or double (MA crossover)), RSI, Bollinger bands, ADX or Composite index (Constance M. Brown). 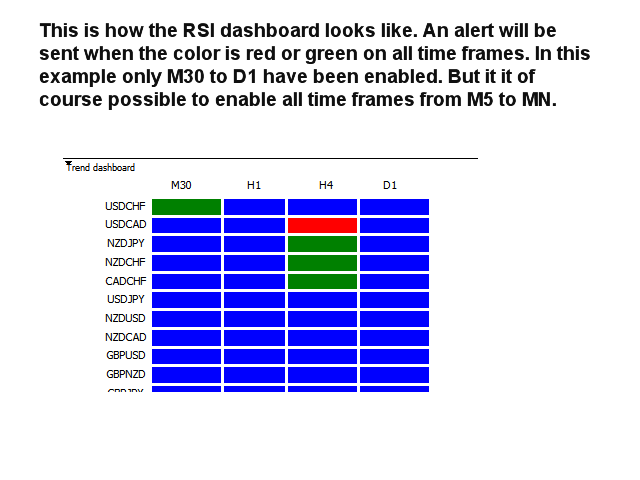 It can be used with the time frames M5, M15, M30, H1, H4, D1, WK1 and MN. The free version of this indicator can be downloaded here. 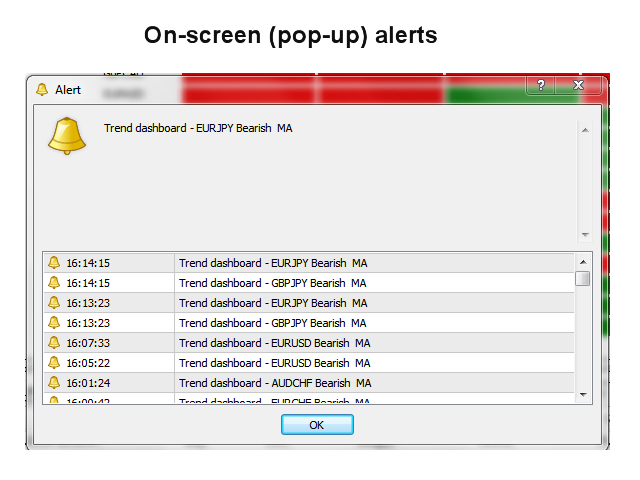 It is limited to EURUSD, GBPUSD and USDJPY and has no support for alerts. It is possible to select the time frames to be used if you would not like to use all 8 time frames. Continuously performs a trend strength rank sorting within the dashboard. It is possible to disable this sorting though to make it easier finding a specific symbol. The symbols will then be visible in the same order as they have been entered in the Symbols parameter or in the order they are visible in the Market Watch window. I recommend putting the indicator on a EURUSD M5 chart, a clean chart without any other indicators or Expert Advisors on it.